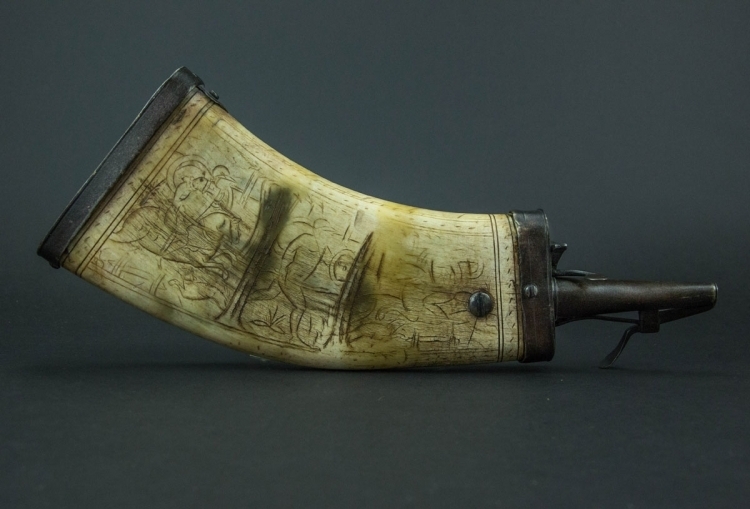 Of flattened cow horn body decorated with scrimshaw work of two armoured horsemen and foot soldier against a hatched ground within borders of rope work and concentric rings, iron russet mounts including nozzle with sprung cap and cut off leaver, base plate and belt hook. Very good condition for age. 14.5 inches, 37cm overall.